1. Login to Notary Café. 2. Select a category from the list. 4. 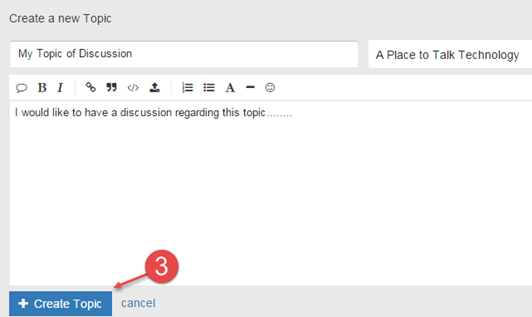 Add your topic title and content and select the Create Topic button.